Clifford has taken over the Carnage page now. Well, he is trying. Norrish Creek Put the left rock slider to good use on 6' under. Also tagged the left rear quarter panel. And the right rear quarter panel. was a large stump hiding within. Luckily Indir saw it and told me to stop before major damage occured. lost the left marker light and the right brake light. pushed the lower radiator hose into the fan blade. I tried some special "radiator repair tape" that I had, but it wouldn't hold. a hose. It got me going and made the rest of the trip much more enjoyable. @ Harrison West Grenaded another axle joint. At least it was theleft side this time. @ Harrison West I tagged the rock at the start of the Weaver/Francis traverse. wheeling and rust caused some new rattles on this trip. Guess it's time to do some more bodywork. @ Eagle Ridge The hubs were locked in for about 30 seconds when the right front axle shafts broke. @ Hut Lakes Tagged a stump with my passenger door. Blew the bead on the the right rear while winching; to much side load. 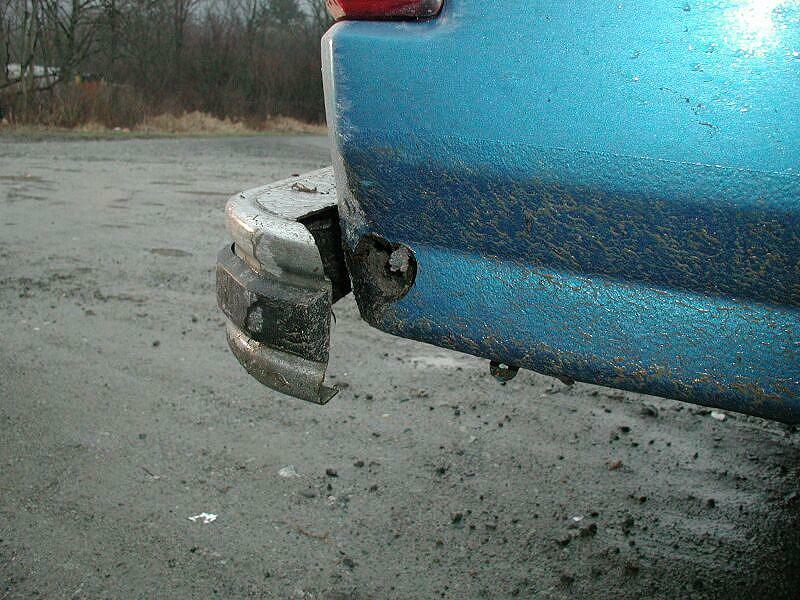 @ Norrish Creek Broke my right rear tail light. cracks in the right frame rail, and two cracks in the left rail. front caliper hardware had broken and fell out, leaving the just bolt in place. I swapped in the spare that I carry, and continued on. @ Norrish Creek The u-joint broke and took out the ears off the right front axle shafts. The impact pushed the the upper ball joint up, about 1/16". ball joint, I found the pre-load collar was broken in four pieces. @ Harrison East Had to get a tow home. Exhaust pipe rotted out and the hanger let go. My front ARB line tore off (repaired on the trail). My rear axle hit the OBA tank and broke the ARB fitting. It broke the fitting flush off. the (rusted) mount for the OBA tank. Indir broke his right front shock mount. It tore the bottom of the frame. Doug smashed his rear canopy window. @ Harrison West The front seat mount broke on the way our of HaleCreek. 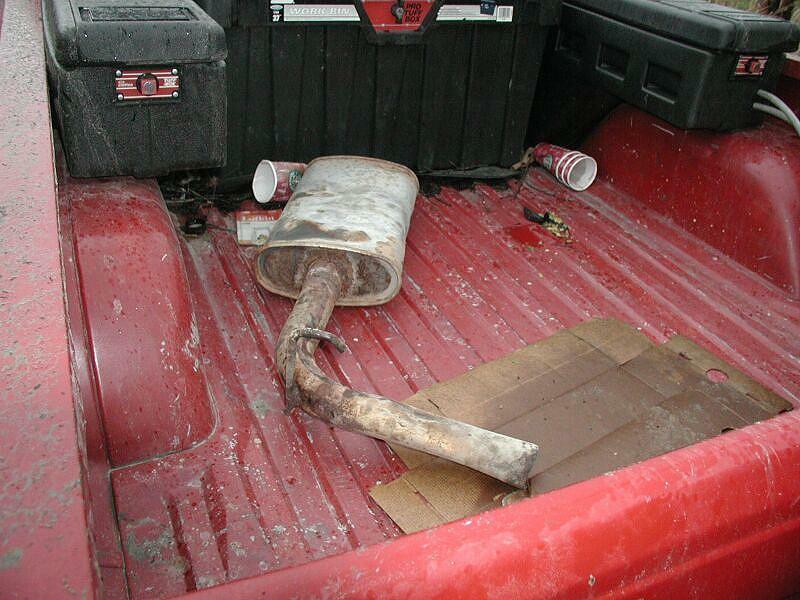 on the way to work My tail-pipe rusted away and fell off on the way to work. I just hope it didn't hit anybody! on my way to work 8 of the 10 ring gear bolts came out on the D44. @ Hut Lakes Ian gently placed his CJ on its side. I sliced a tire at the top of the waterfall. Doug got hi-centred on a rock. He took out his front driveshaft. His front bumper also took a beating. Tagged the left rocker under the door. Tagged the right rocker under the door. Hit a rock and out a hole in the fuel tank. Indir had a scuffle with a tree. @ Wilson Lake No pictures, but Doug lost the right front brake caliper slider. @ Eagle Ridge Tagged the right rocker behind the door. A tree stole part of my ventvisor. The right axle joint tossed a cap. 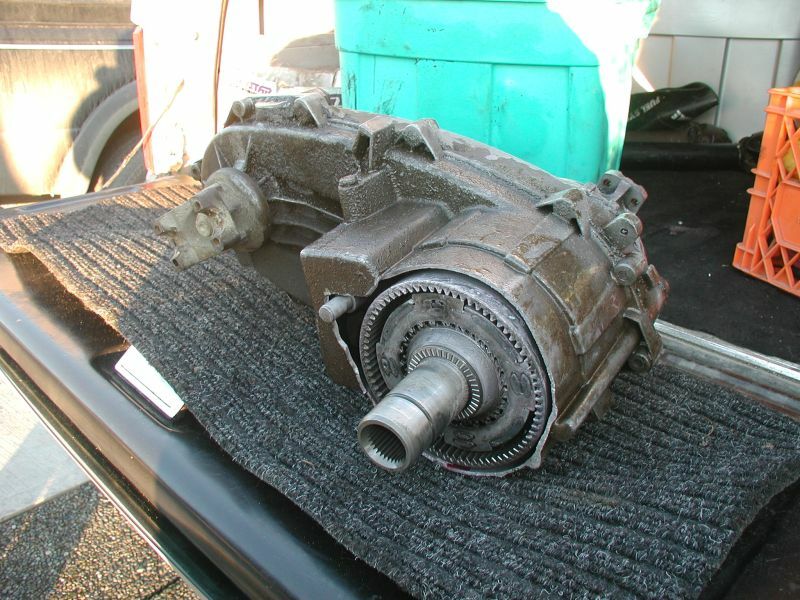 @ Norrish Creek Doug pounded the front driveshaft into the transfercase. It was an expensive trip home. At least he blew it up good! @ Harrison West Doug had the whole left knuckles come off. It couldn't have happened in a better spot! @ Harrison West Tree ding on the left front fender. Tree ding on the right front fender. Tree ding on the right rear fender. @ Norrish Creek Yasu had his TJ role away on the start of Can-Opener. Luckily Pete's truck was there to stop it. 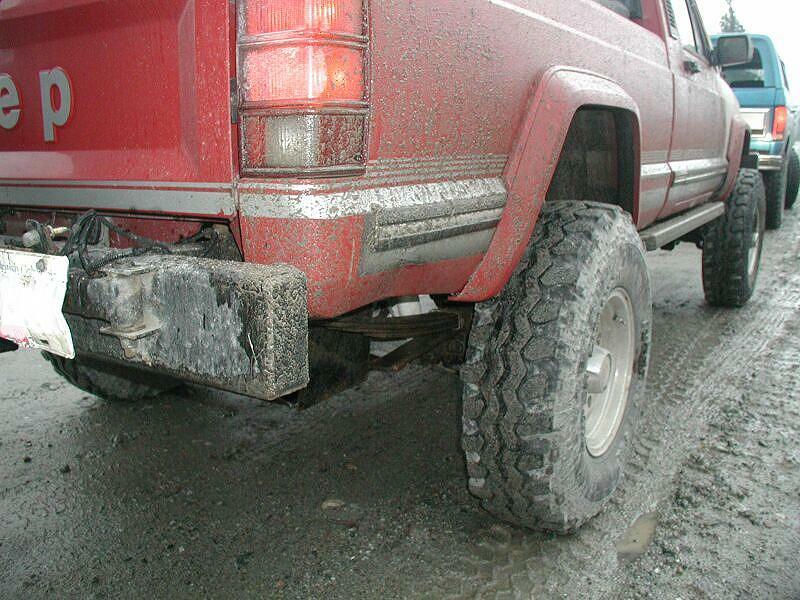 Pete twisted his rear driveshaft. I tagged the right rocker. @ Eagle Ridge The right rear axle shaft broke. Rubbed the right front fender on a tree. rear bumper into my right rear rocker. @ Harrison West Slid off a rock and hit the right rocker. A tree branch hit the right headlight, moving the whole bucket. @ Norrish Creek Hit the left rear rocker on a log pile. I have no idea how that hole got there. Doug hit his right rear rocker. And his muffler feell off. And tagged his left rear rocker. A tree branch wedged between Doug's left rocker and slider. 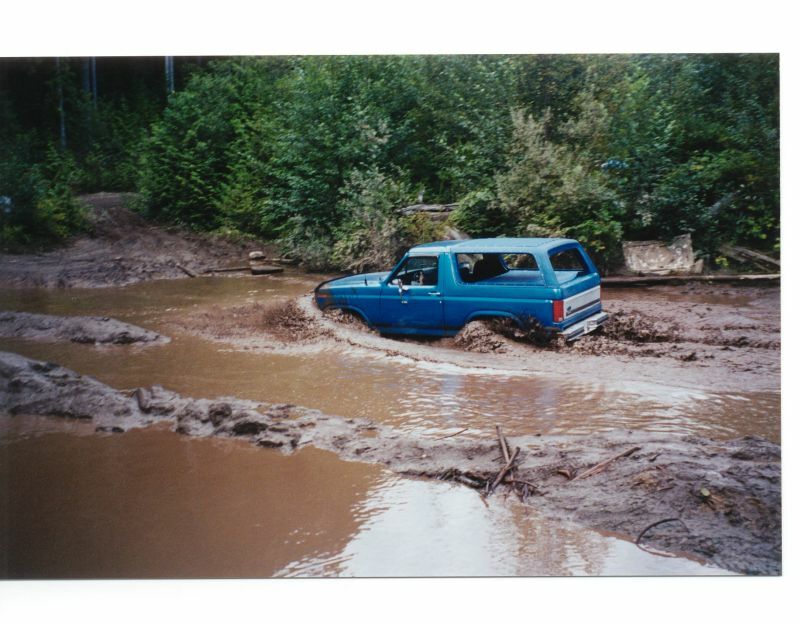 @ Herling Island Grumpy made a wrong turn and sunk his CJ. a ratchet strap around Jamie's broken left motor mount. 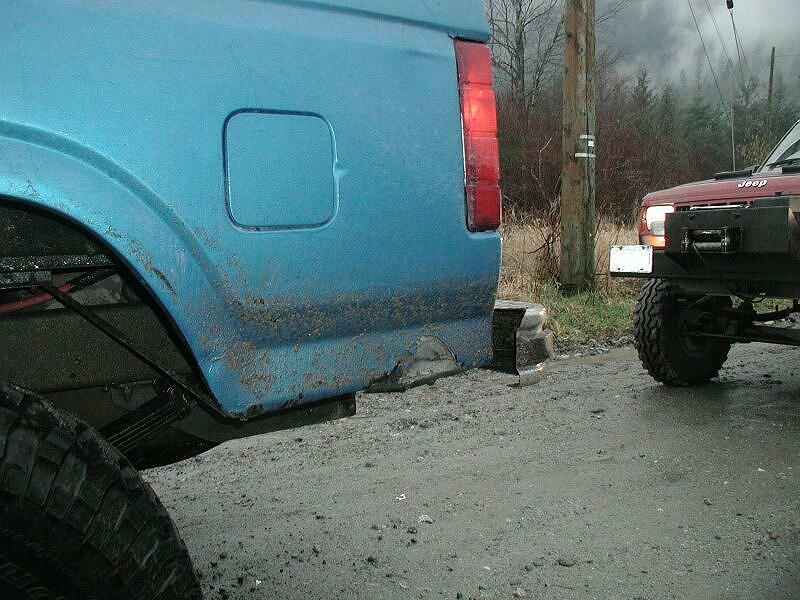 Doug gave Kristian a tug and bent Kristian's front bumper. @ Stave Lake West I hydrolocked my motor. 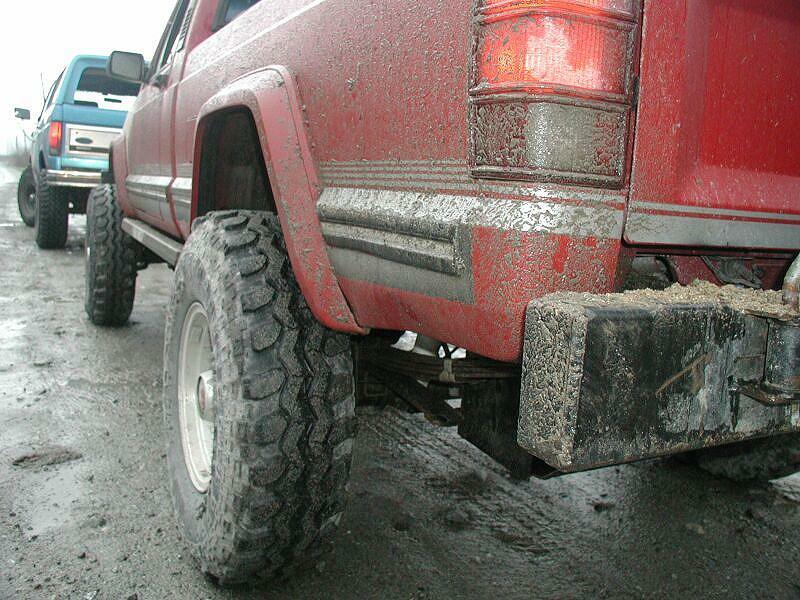 A bit to much mud got in there. 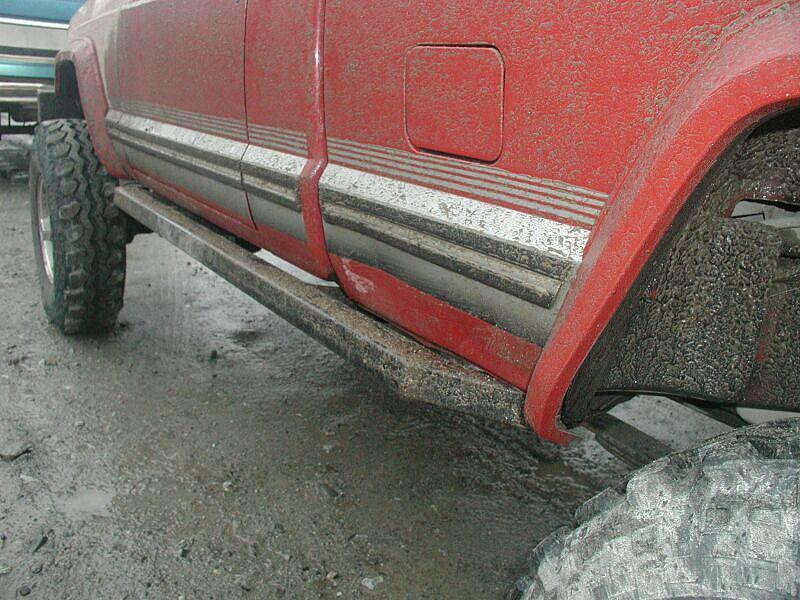 @ Mamquam FSR Broke the right front fender flare. Hit the right auzillary back-up light. Dented the right rear fender. Dented the left rear fender. Got a gash in the right rear tire. This site was last updated in some way on September 1/208.